I've just recently come back from a trip to El Nido, which is a paradise backpacker destination on the island of Palawan in the Philippines. 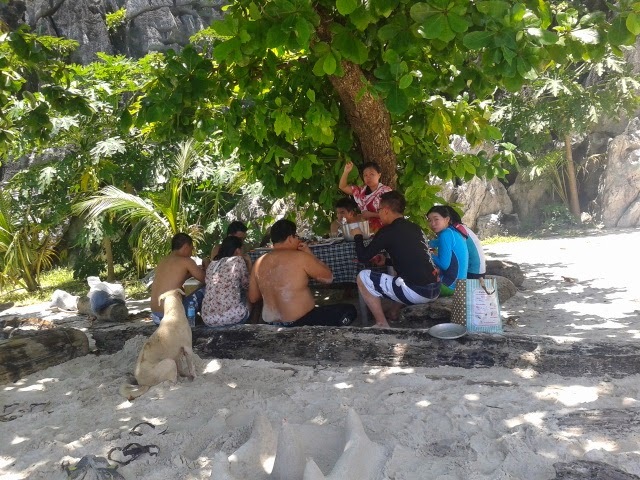 Apart from a lot of friends’ recommendations and tips of advice, I really didn't have much of a clue on how to get to El Nido and the best possible way to tackle the trip. All I got told was, “you have to take cash as there are no ATMS” and, “power shuts down by 11pm” the power advice wasn't as extreme but the cash situation was true. 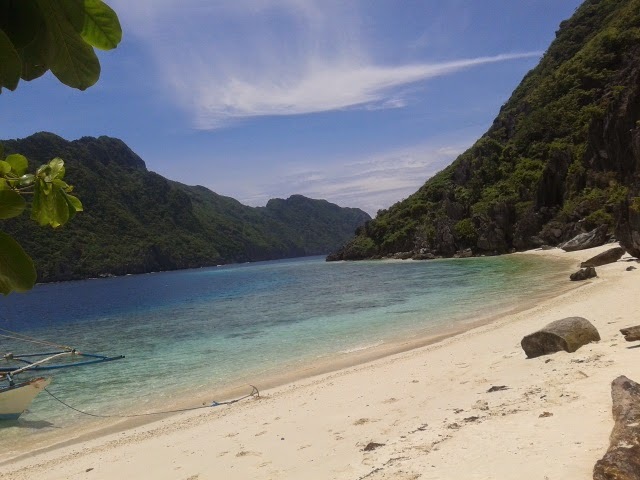 So I’m here to tell you exactly how to get to El Nido and the ins and outs of this paradise. Getting there was an adventure and a half, mainly because I hadn't booked a flight ticket and I arrived into the Philippines at a different airport to where I was supposed to leave from, but I did make it in the end. Manila holds the main airport in the Philippines, and the destination to where you catch a domestic flight to the island of Palawan. You will fly into Puerta Princesa, then you move onto El Nido from there. I would recommend booking flights a day in advance as you’ll save a lot of money. I arrived at the terminal and wasn't allowed in the airport without a ticket so I had to trail around in a taxi to a ticket office, and then to an ATM which wouldn't accept either of my cards. Booking my flight this way was double the price I would have paid online, so lesson learnt. Once you have your ticket, head to terminal three at Manila (you'll probably need to catch a taxi between the terminals) and then the flight takes just over an hour. Once arriving in Puerta Princesa, you’ll be able to find accommodation fairly easily, especially in off peak season. I stayed in Banwa Art Hostel, where I just rocked up and hoped they had a place, which they did. At 400 pesos a night, it was a bargain as a chilled out hostel, great lounge area overlooking palm trees, in a good location with a bar hosting a long happy hour. I booked my bus from Puerta Princesa to El Nido through the hostel, which seems to be the case for most places you stay in, so don't worry about finding transport. My bus from Puerta Princesa cost 700 pesos, and I believe you can find cheaper elsewhere. It was more of a van than a bus, the type that doesn't leave until every seat is taken. Even though the transport is crammed for a six hour drive, there was plenty of air-con on the bus, more than was needed so take a jacket or two. It’s a rickety ride, and a lot of the journey is over stone roads and dirt tracks, so if you’re not a good passenger then take some travel sickness tablets beforehand. The bus stopped just the once on the way there as well. Once in El Nido, you’ll get dropped off at the market place, then you can take a really cheap tricycle for about ten minutes to the beach front where a lot of the accommodation is. We didn't book any accommodation and just turned up to a pension and luckily there was room (Zaniyas Pension.) We paid 500 pesos a night each for a room, bathroom and air con. Other friends have paid less, they tend to be further away from the beach front and they may not have air con. We went during off peak season so you may need to book online, or make sure you get to EL Nido early, buses do run from 6am onwards from Puerta Princesa. My friend was right about no ATMs being in El Nido, however there are plenty in Puerta Princesa so you can stock up on cash before you go. Also, there is a currency exchange stall in El Nido and some of the bars/scuba shops offer cashback on card but with high interest. The power on the island does shut off but only between 6am-2pm, which didn't hinder our trip at all. I’d say this is the main info on what you need for a hassle-free trip to El Nido. Once you’re reached the haven there are plenty of cheap bars and restaurants for great food and drink. You'll have a great choice of scuba shops to pick from and I chose El Nido Marine Club which was 2800 pesos for three dives including lunch and hire for the day. Great company, great dives and just three of us on the trip as well as the instructor. We rocked up a day before to book and it was as easy as that. 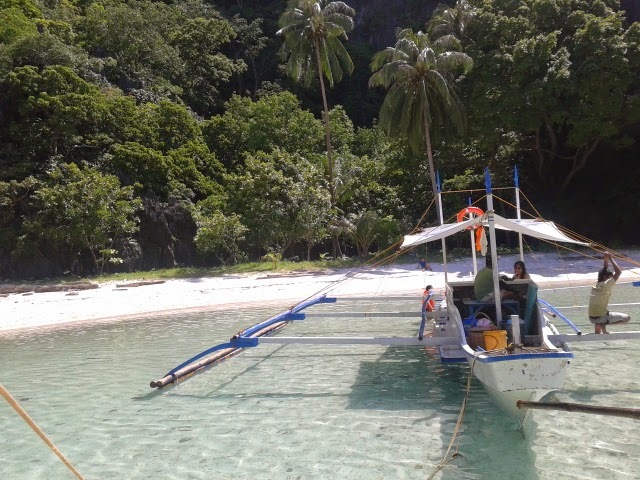 There are also many boat trips you can take which travel to some of the most beautiful beaches I have ever been to! The pictures on the blog pretty much speak for themselves. 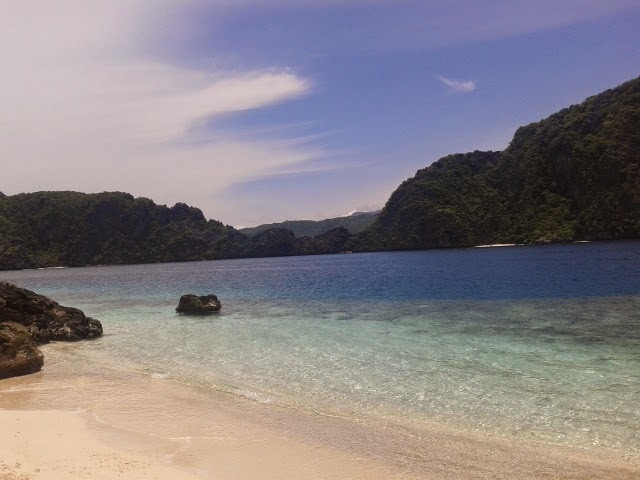 Not to be too cheesy, but El Nido really is paradise.